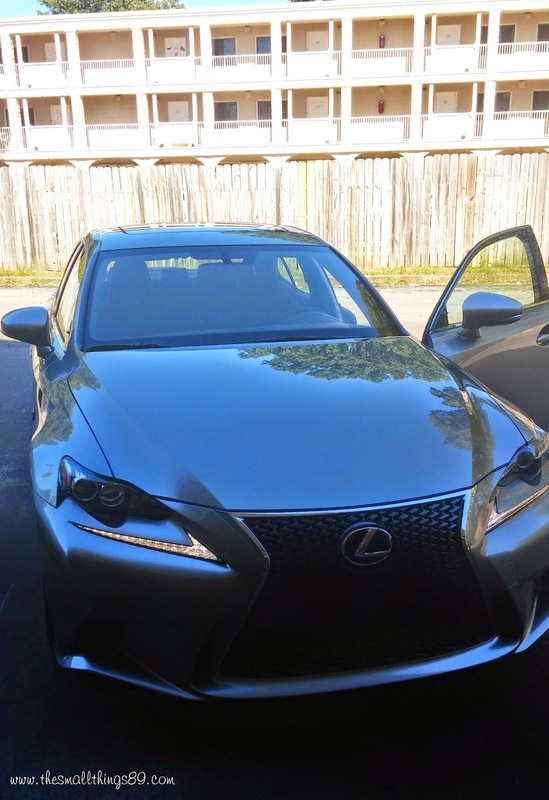 Lexus IS 350 F Sport- Sleek, Awesome and Great! HomeLexus IS 350 F Sport- Sleek, Awesome and Great! My husband and I love driving new cars. 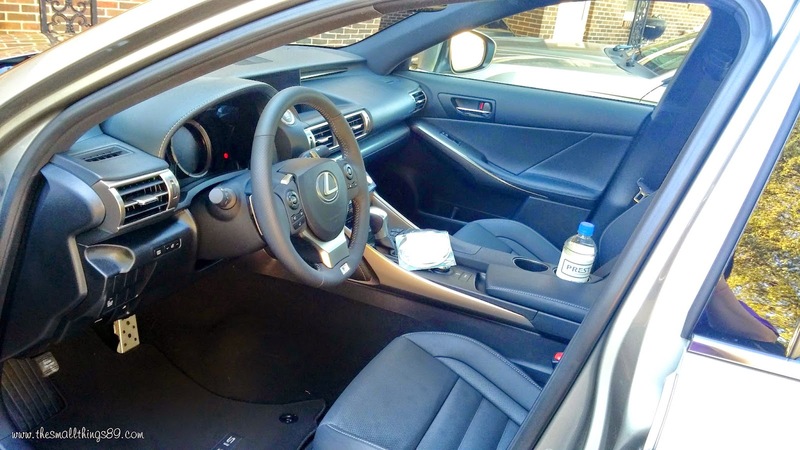 Recently I was able to have the awesome opportunity to review the 2015 Lexus IS 350 Sport and test it for two weeks. Check it out above. The color that I drove was Atomic Silver, not white. This car has to be the sleekest car that I have ever been in. I love it! It has a Drive Mode Select- It enables you to make your IS more responsive or efficient with a simple turn of the dial. Eco is one of those options. One of my favorite exterior features was the sleep mesh grille. It gave the car a unique look. It’s only fitting that a vehicle this cutting-edge has audio technology to match. 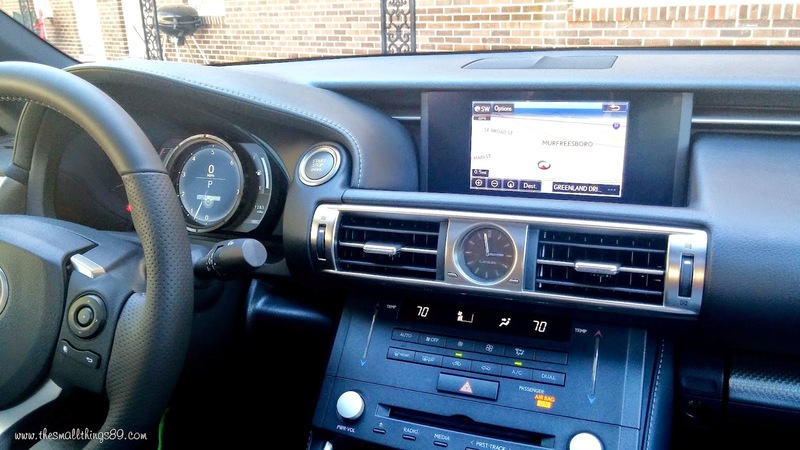 From the eight-speaker Premium Audio System’s ability to pause and rewind HD Radio6 to the 360-degree, three-dimensional sound of the available 835-watt, 15-speaker Mark Levinson® Premium Surround Sound Audio System,2 the IS raises the audio bar as easily as it raises your heart rate. As you can tell is also has front sport seats. They hug every bit of you. The seats are able to be heated or cooled as well. It has electrostatic touch-based temperature controls which enable you to change the temperature with a swipe of your finger! I thought that this was super cool! The rear has awesome spaciousness of generous legroom with the convenience of a 60/40-split fold-down rear seat. 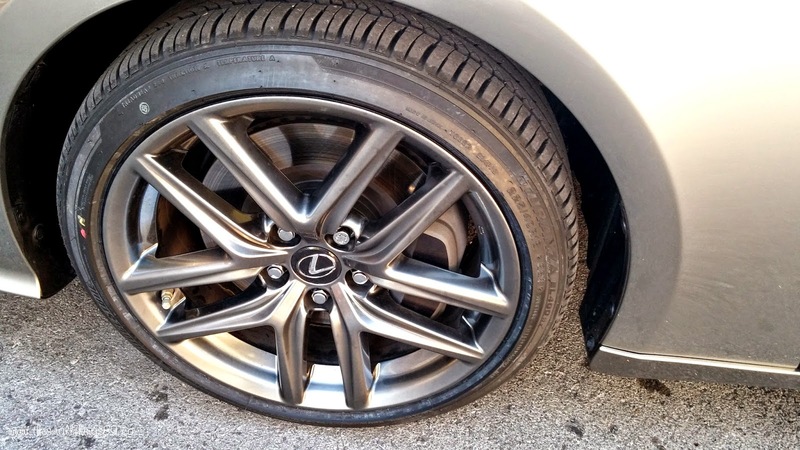 This beautiful car also has 18-in split-five-spoke alloy wheels! Look at how sleep those are too! Another thing that I noticed when driving is that it has intelligent high-beam headlamps as well as lane Departure Alert! The side view mirrors light up when someone is coming beside you on your blind spot. The Lexus IS 350 F Sport has all-wheel drive to help provide enhanced traction and control all-wheel drive to help provide enhanced traction and control. Visit the Lexus website to learn more about the various packages and prices! This car will not disappoint.